Born Dec. 31, 1939 in Chicago, he died Monday, Nov. 17, 2003, in Palatine, IL. Interment will be in Mt. Vernon Memorial Park, Lemont, IL. 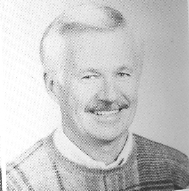 Mr. Warner was the band director at Hoffman Estates High School for 19 years. He retired in 1993. He is survived by his beloved friend and caretaker, Rizelle Capito; his children, Susan, Scott and Stuart; his sister, Marilyn Bass; and by his brother-in-law, James Barr. Visitation: Thursday, November 20, 2003 from 3 to 9 p.m.
Funeral: Friday, November 21, 2003 at 10 a.m.
Unit, 800 Biesterfield Raod, Elk Grove Village, IL 60007. Friends may visit http://www.dailyherald.com/obits/ to express condolences and sign the guest book.